Hai reader semua, now Carlo Rino is holding DREAMERS UTOPIA, AUTUMN WINTER COLLECTION 2018 Red and golden leaves dance in the icy wind. 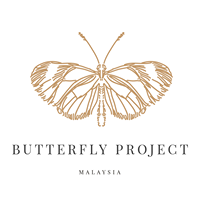 Enter this dreamlike world and bask in the beauty of the new season with confidence. Join Carlo Rino on our path to a fashion frenzy utopia that is the Carlo Rino 2018 Autumn Winter Collection. Carlo Rino introduces a range of high fashion pieces uniquely designed with a modish, yet casual spin, capturing the spirit of the modern woman. 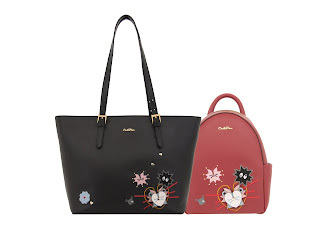 This range of Carlo Rino curations are made to keep you looking stylish every day of the week. Enhance your daily look with this range of sleek and glossy low-heeled pumps. Accompanied by a delicate ankle strap for a feminine and demure vibe, this range of simple yet modern footwear is the perfect addition to your everyday outfits. Step out of your home in these simply chic platform flats. 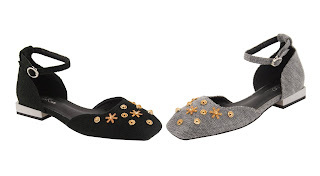 Casual and comfortable, these darlings are decorated with tiny little studs adorning the edges of the top crossed strap. 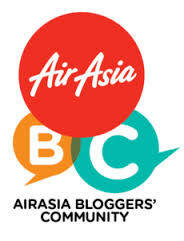 Convenient and comfortable, it is perfect for daily uses. Strike awe in these deceptively glamourous pumps. With a pointed tip, and chunky heels, these darlings are the sharp and modern shoes that will complement any outfit you choose. Be it office wear, formal wear, casual wear, or even a party outfit, these babies are perfect no matter the occasion. Current and contemporary, this Carlo Rino collection encapsulates all that is youthful. From the designs to its quirky appeal, this young, chic and fresh range adds a fresh charm to any look. 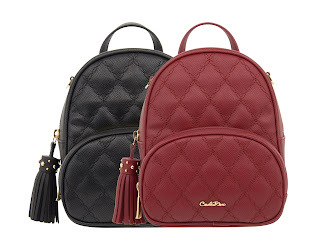 Casual with intricate embroidery, this range of bags are available as a backpack and a shopper bag.Pick this range of darlings up to add a young and cool vibe to your daily look. 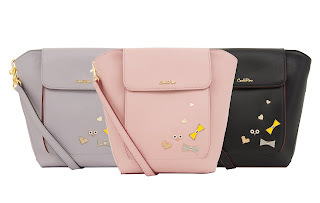 Refreshingly sweet and cute, this range of cross body bags are structured in a unique trapezium shape. The cute charm that this little companion possesses is further increased with cute little iconsstudded around the bottom right. Pair it with your casual day outfit to add a youthful and adorable vibe to your look. Don’t underestimate the style factor of these babies! Smart and comfy, these darlings are the ultimate hipster chic statement pieces that oozes a youthful style. Pair them with a smart casual outfit for the best combinations. Have little fun with this fluffy delight. With a feminine silhouette, and a delicate ankle strap, this range of darlings oozes a lady like charm. In addition, this range of stilettos also feature a red sole that peeks out with every step, adding to its womanly charm. Embrace your inner fashionista with this unique range. Dedicated to trendsetters and fashion forward women, these lovely curations were designed to be statement pieces that lets you flaunt your creative sense of style. ALL EYES ON ME! Is what you will be thinking when you carry one of these stunning little companions. 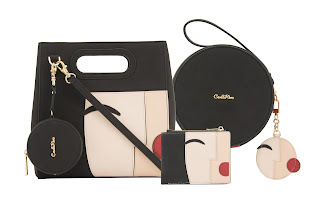 This range comes in 3 parts, a chic structured top handle bag, with a bi-fold wallet, and a round ultra-adorable cosmetic case with a built- in mirror. 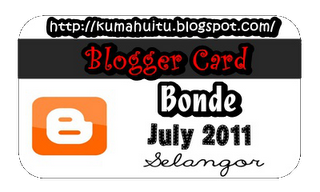 This is the ultimate fashionista set. *each sold separately. 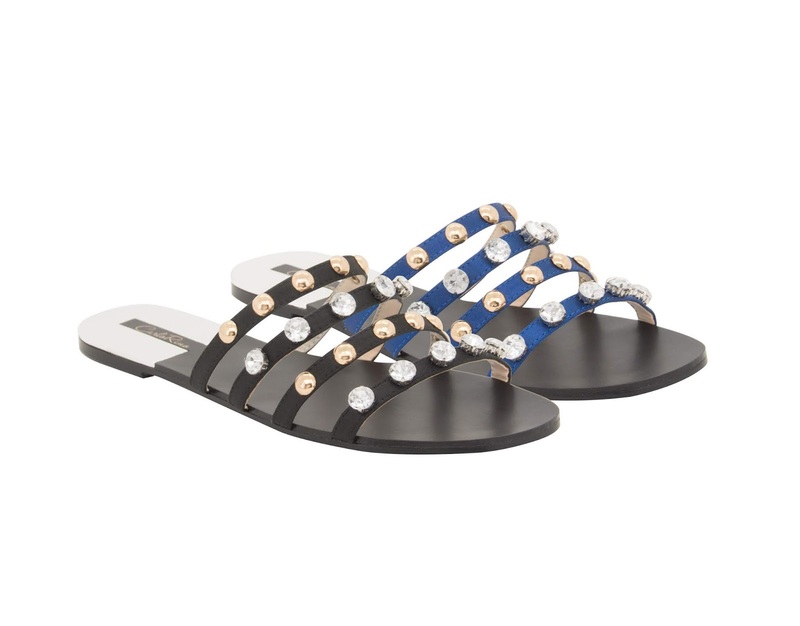 Carlo Rino brings you a collection of studded stunners perfect for the fashionista. From sweet to sophisticated, edgy to casual, take your pick of studded footwear from this stylish range. Enhance your style appeal with these studded sophisticates. 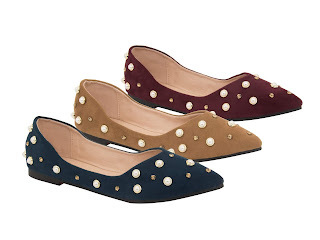 Simple yet stylish, this range of ballerinas have gold pearls and studs adorning the edge of its opening, surrounding your feet and exuding a classy and refined charm. This range of fashion forward stunners scream ‘I’m not a girl to be messed with’! With heels that are adorned with studs all over, and a delicate ankle strap, slip them on and strap em’ up for a cool, chic and feminine, yet rebellious look. Slip into these stylish flats for a casual yet glamorous look. With four horizontal straps, each adorned with studded pearls and gold fixings, this delicate range of flats gives your everyday look a glitzy yet rebellious vibe. Radiate professionalism and confidence with this range of Carlo Rino curations. Smart, sophisticated, and classy, these pieces are hand-picked for the fashionable working lady. Opt for a uniquely mod yet smart companion. 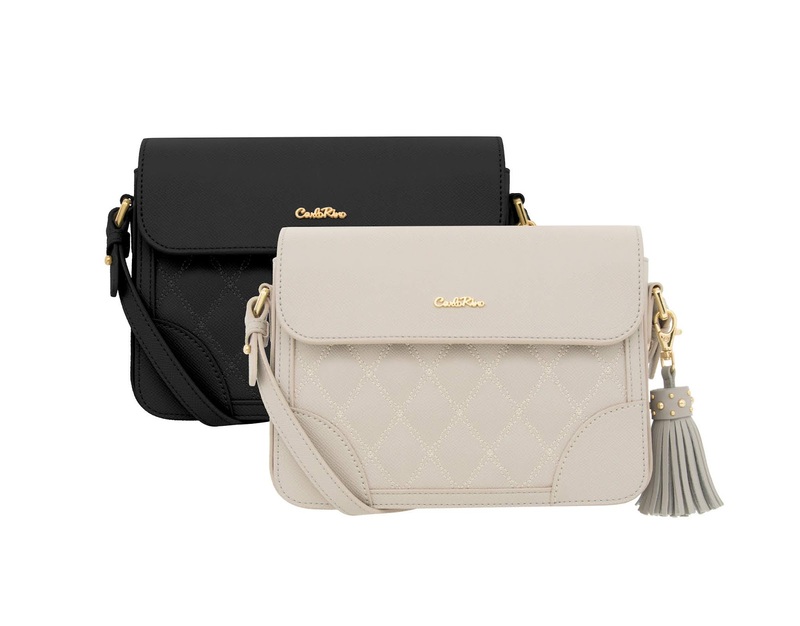 Practical and stylish, this chic arm candy comes in two parts, with the inner piece doubling as a top handle bag. Keep your documents and laptop neat and organized along-side the rest of your belongings, while staying chic and stylish. 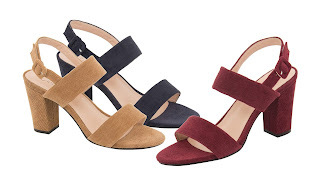 Strut around the office confidently with these simple and sleek, yet ultra-chic heels. Don a confident yet feminine silhouette everywhere you go. Be it a normal day at work, or a night around town with your girls. Slip into this range of ultra-chic chunky heeled darlings to add a little fun to your daily office look. 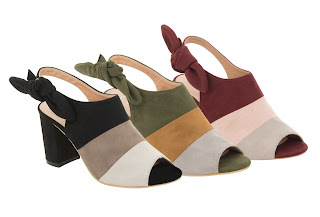 A cute bow sits on the side of the sling back straps, adding a touch of youthfulness to the sophisticated look. Classic and timeless, a throwback with a twist. Let this range of lovelies inspire your style by adding a modern twist to a look reminiscent of yesterday. 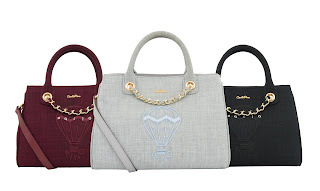 This range of Carlo Rino curations are the epitome of vintage posh. Structured and classy, it vibes of a stylish and glamourous fashionista of yesterday. Cute embroidery decorates the front of the arm candy, complemented by a gold chain giving this companion a lavish vibe. A perfect balance of harmony is this simple cross of sleek and funky. 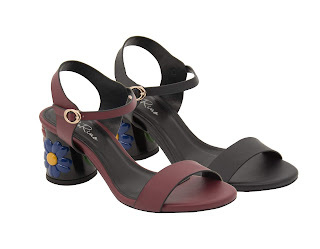 A feminine silhouette is accompanied by chunky heels adorned with colourful funky sculpted flowers. Adding the perfect amount of jazziness to any outfit. Ooze retro chic with this chic and cheeky range of strappy heels. 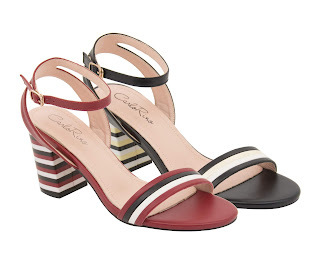 Perfectly feminine with its delicate ankle straps and demure silhouette, the heels also ooze a chic vintage persona with cheeky black and white stripes enveloping its thick chunky heels.